As Locksmiths that specialize in cars we can make replacement car keys even if you have lost your key. 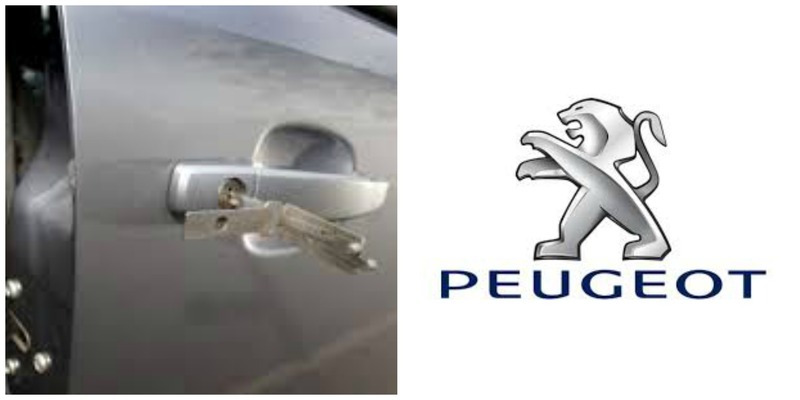 We cover every model in the Peugeot range of cars old or new and have the keys in stock so we can get you back the road quickly. If you have lost your car key, call us and speak to an experienced locksmith who will give you a price and a realistic time scale for us to come and complete the job, usually this will be within the hour. First we attend your location and open your car. We do this using special lock picks to manipulate the cars door lock and open your car with no damage. Then using fully automatic key cutting machines onboard our vans we cut the correct car key for your vehicles lock. Finally we have to program the replacement car key to the vehicle immobiliser, this means the new car key will start the car. We use a range of specialist computers include the main dealer diagnostic tool. You are back on the road and have a replacement car key, free you carry on with your day. We cover all makes of car call us if you have lost your car key.